How would you describe your indoor-air climate? Does it adapt to you your personal preferences throughout your home? Does it ensure your comfort in each room? 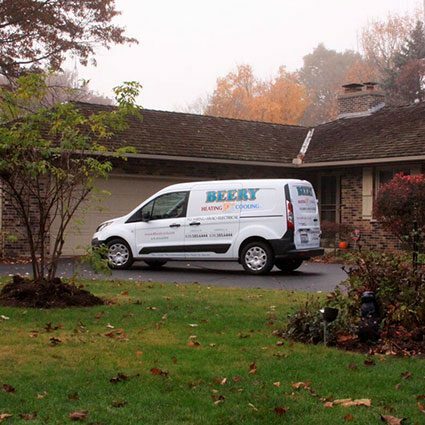 Beery Heating and Cooling specializes in furnace/boiler and air-conditioning installation, repair and replacement for Downers Grove, IL, homes. As crafters of indoor air environments, we create heating and cooling systems as personal to you as your interior design and décor. We achieve this for you by thoroughly profiling you and your home. After learning about what you desire for comfort, we note exacting details such as window and room measurements, types of shades and window treatments, and existing insulation and ductwork. With this information for reference, we review your available options with you, including how you might want to approach temperature control, humidification and indoor-air purification. Heating and cooling technology constantly changes, so you want to consult with professionals who are current with industry science. You also need them to match the right equipment and systems to your home’s distinctive spaces. Family-owned and -operated since 1980, Beery Heating and Cooling installs, repairs and maintains furnace/boiler and air-conditioning units for Downers Grove homes, including new construction, remodels and upgrades. We’re also available for 24-hour emergency service should a problem arise with your furnace, boiler or air conditioner. We’ll respond to you swiftly with a solution and guarantee your satisfaction with what we provide. Call (630) 585-6444 today to find out more about our furnace/boiler and air-conditioning installation, repair and replacement. We can also assist you with air-conditioning cleaning. Ask about our Planned Maintenance Program for Downers Grove as well! Whether your plumbing in Downers Grove needs repair, replacement or maintenance, Beery Heating and Cooling provides you with the prompt and efficient service you need. Our plumbing for Downers Grove includes essential components such as backflow testing and installation and installation of water heaters, sump pumps and ejector pumps. We are equally proficient with electrical systems in Downers Grove. Our trained and certified technicians can help ensure that your home’s electrical equipment lasts longer and runs more efficiently. Fewer costly repairs, same-day service and discounts on parts and labor are among just a few of our leading benefits. Call (630) 585-6444 today for more details about our plumbing and electrical work for Downers Grove, IL. If you own or manage a business in Downers Grove, Beery Heating and Cooling offers complete services for commercial heating, cooling, plumbing and electrical systems. Contact us at (630) 585-6444 for more details.